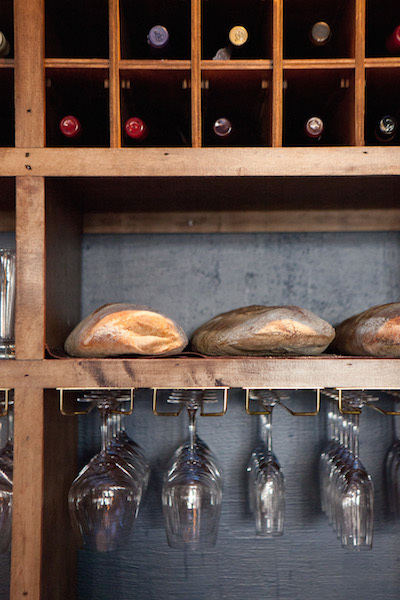 The owners of award-winning restaurant “Gather” came to us with a wish to open a SF restaurant that would showcase Chef Sean Baker’s sustainable, vegetable-focused menu, but still feel like a neighborhood “bistro”: familiar and welcoming. The 1700 SF footprint was tall but small, ( an almost perfect cube) , and we needed to fit an ADA bathroom on the ground floor. 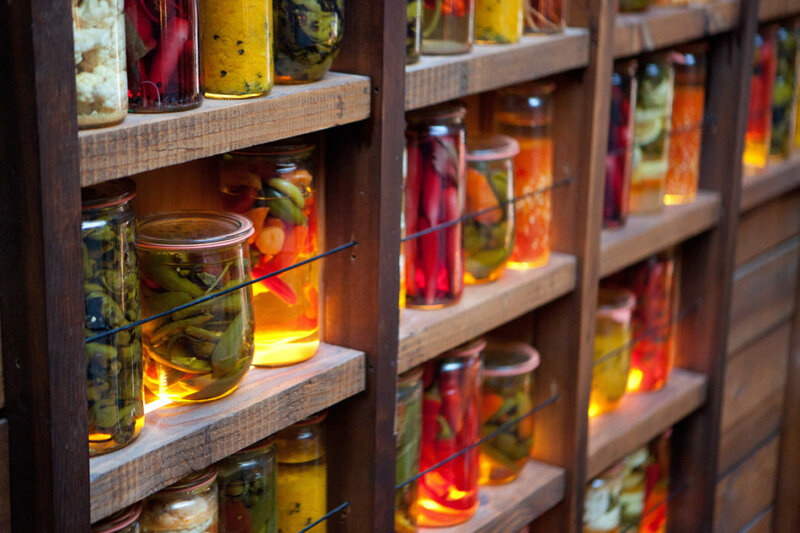 We turned the bathroom into the room’s feature element by creating a 16′ tall “Pickle wall” to showcase the fermenting produce used daily. 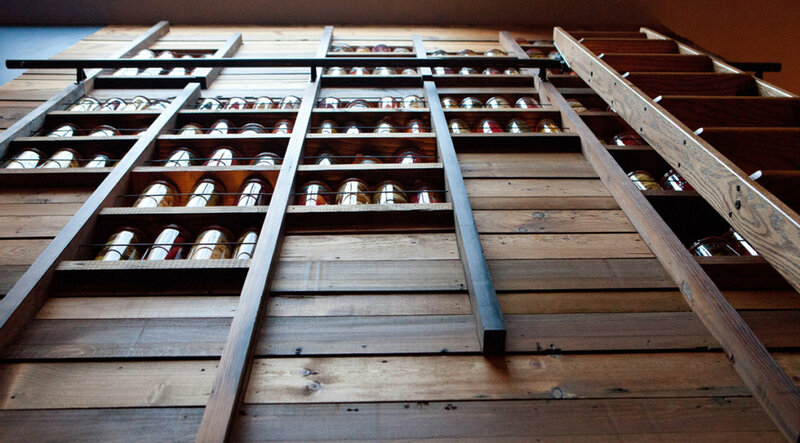 LED-lit niches create a warm colorful glow, and a focal point for the space. 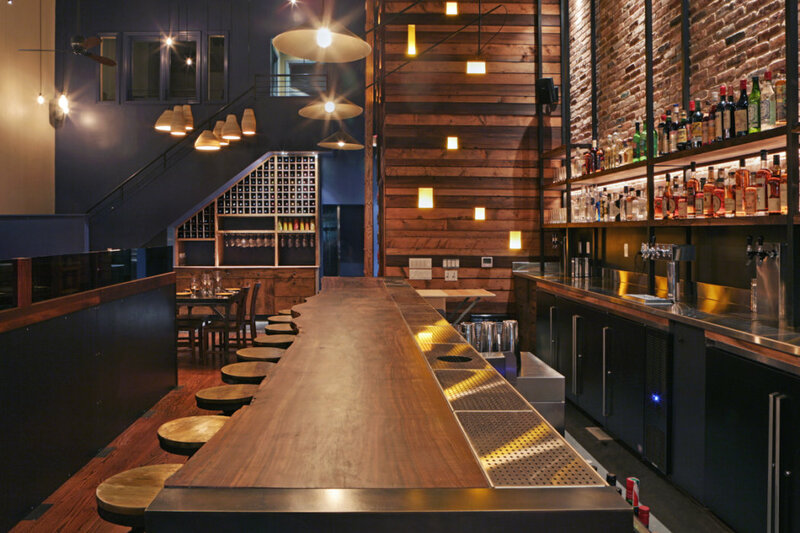 Custom pendants by Metro Lighting create an intimate area over the bar, and a cluster of custom ceramic pendants by Jered’s Pottery anchor the center of the space. 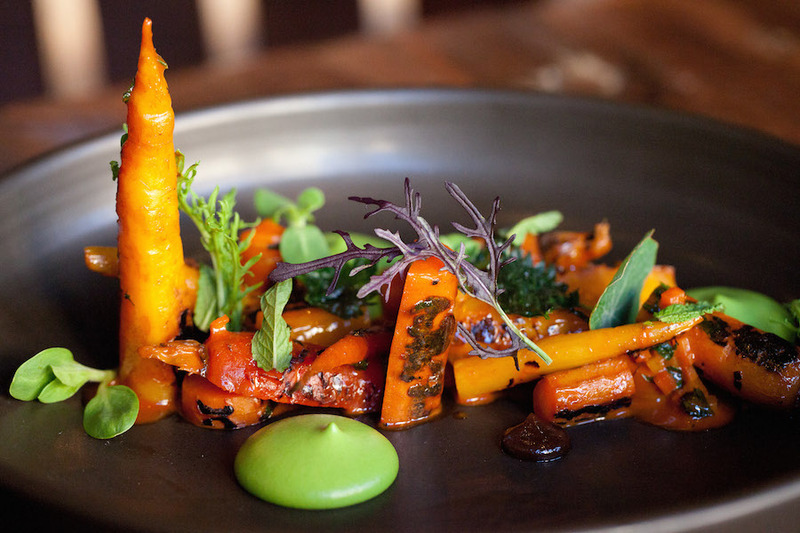 The menu here also serves the vegetarian and carnivore equally, and the rustic and sophisticated vibe dovetails with the food. 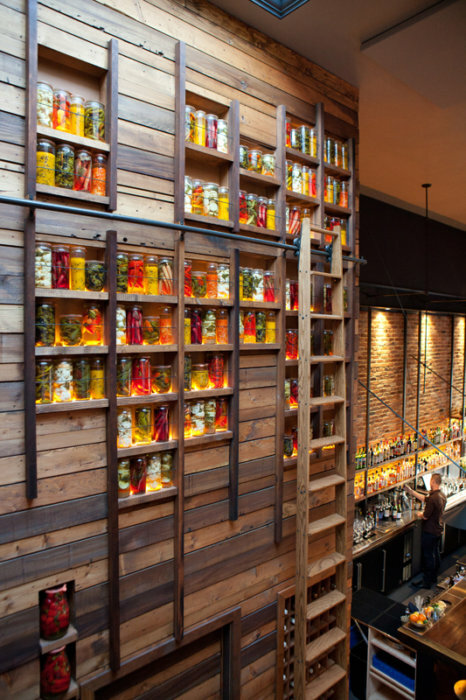 Verbena, A Russian Hill Showstopper.. (with) an illuminated wood wall displaying jars of house-pickled goodies, a set of art panels made with soil from local farms, and a custom chandelier and plateware from Berkeley potter Jered's. 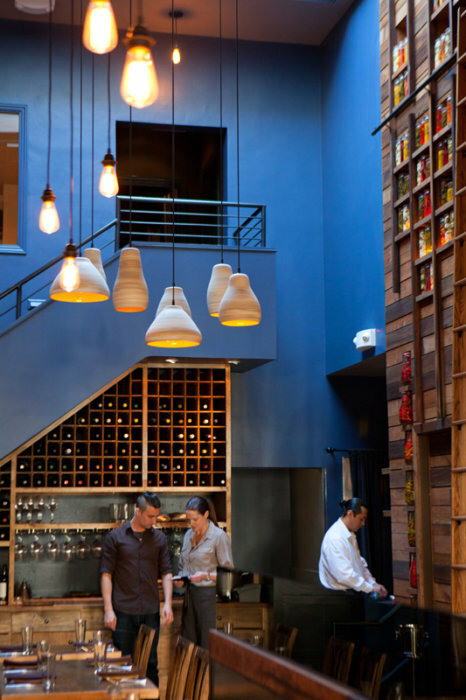 Its "sustainability aesthetic" is evident throughout – from the “beautiful” duplex setting to the “sophisticated” small-batch wine list – while “attentive” service seals the deal. 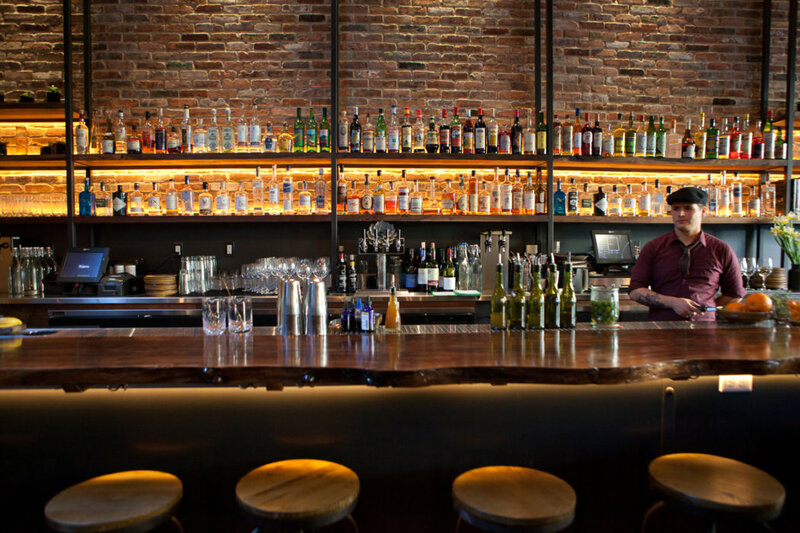 Verbena is a worthy addition to the San Francisco dining scene and they interesting Nob Hill neighborhood. 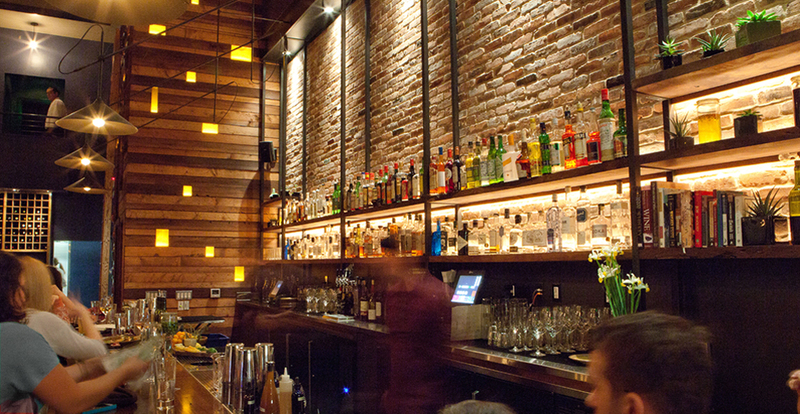 The décor was inviting, the cuisine was fresh, unique and delicicous and the service was professional and friendly. We look forward to returning soon! When it excels, Verbena's sheer audacity, its ability to surprise and even shock, and its executive chef Sean Baker's ability to transform the humblest of ingredients, all come together to create one of the most exciting restaurants I've visited in the past year. Verbena feels like a grown-up version of Gather, moody and wood-accented: abstractly rustic with a tinge of noir. 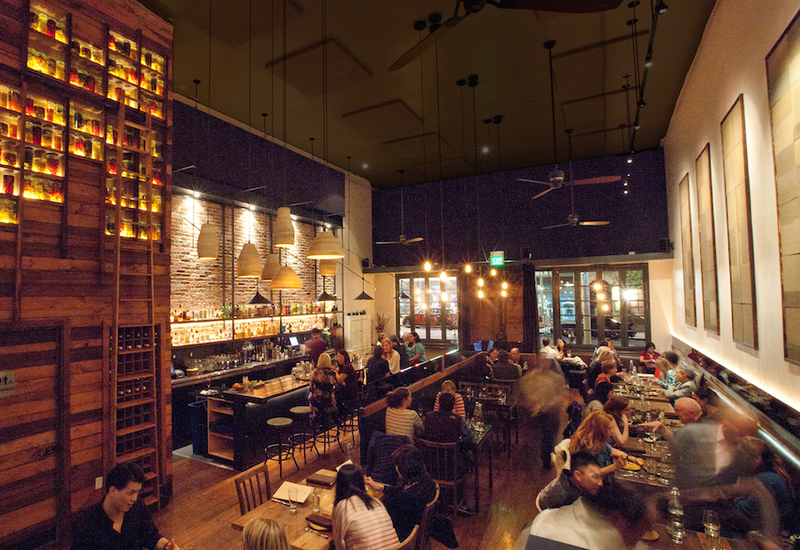 More intimate and upscale than its East Bay sibling, it’s moodier looking, too, with dark wood accents, kiss-me lighting, and rustic-refined touches like a walnut bar backed by artsy panels fashioned out of soil from local farms.